Welcome to our latest newsletter we do hope that you find it both interesting and informative, remember that it's your newsletter so if there is anything you would like to see included please click here and let me know! It was good to see Englishman Justin Rose return to the winners circle last week on the PGA Tour, he showed a return to form at the recent Masters Tournament and he kept that good run going with a fine last round 66 to claim the Zurich Classic of New Orleans. Interestingly Rose puts his recent good form down to adopting a gluten free diet similar to that used by world number one tennis player Novak Djokovic, he has lost ten pounds on the diet but most importantly he reckons the new regime has meant he feels more alert on the golf course and he has overcome a mental sluggishness that has affected his game in the past. Modern top golfers are now hitting the gym and watching what they eat more than ever, maybe if you're serious about your golf you should take a leaf out of their books and try to follow their examples! Saturday saw our first major of the season taking place, the Inaugural Trophy had an entry of 35 keen golfers and weather conditions certainly challenged them as there was a tricky wind blowing and squally showers passed through the golf course. Scoring proved difficult because of the weather conditions and some tricky pin positions, with nett 67 proving to be the winning score from 16 handicapper Paul Underwood, the second year in a row Paul has won the Trophy. Vice-Captain Paul had a great front nine going out in just four over par gross, the back nine proved a little more challenging for him but despite a double bogey on the last he battled through to score a fine nett 67. In second place was 6 handicapper James Eaton who also played the front nine very well in level par including a birdie two on the fifth hole, a double bogey on the difficult last hole however put paid to his chances as he finished on nett 68. Third place went to Ian Daines, his round got off to the best of starts with a birdie on the first hole but again he also suffered a double bogey on the last to shoot a nett 69. Incidentally only three players scored pars on the last hole showing how hard it was playing! As the Inaugural Trophy winner, Paul now qualifies to partner our PGA professional Adam Powell in the Lombard Trophy qualifier to be played at Dunham Forest Golf Club in the summer. Best of luck to them! This week sees the departure of our main members of staff in the shop. Ian Ridgway has been doing his PGA training with us and has now completed the course, he has got a new job working at Disley Golf Club. It will be a big loss for us as he has been a vital member of our shop staff over the last couple of years and has also helped Adam out with his junior academies. We will miss Ian around the place but we wish him the best of luck in the future. If anyone is calling past Disley Golf Club Ian would love it if you called in to say hello! 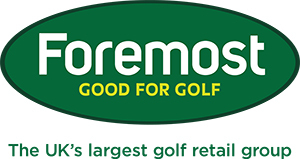 Adams Golf have really been making waves in the world of golf equipment in the last few years with some fantastic hybrid and fairway woods. 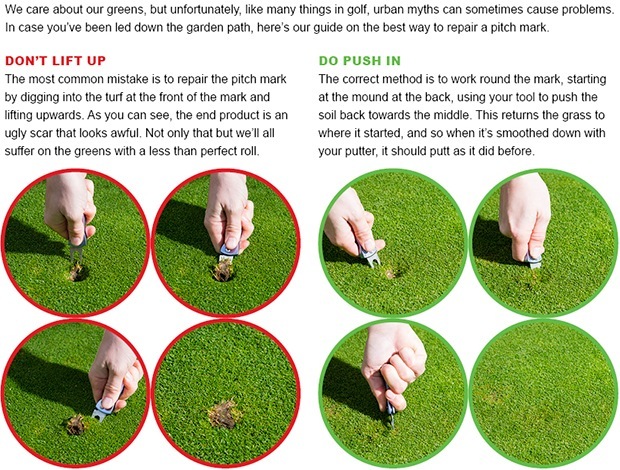 Their most recent launch is based on the classic 'Tight Lies' shallow design that allows you to get the ball airborne easily and quickly, even from the worst of lies. Adams are the number one hybrid brand on tour and obviously the top professional players only want to use the best equipment on the market. Adams have now brought out a Blue and a Red hybrid range, so called because of the distinctive colours of the heads. They have just arrived in the shop and after hitting them both I can say that I've never hit an easier to use and better launching hybrid. 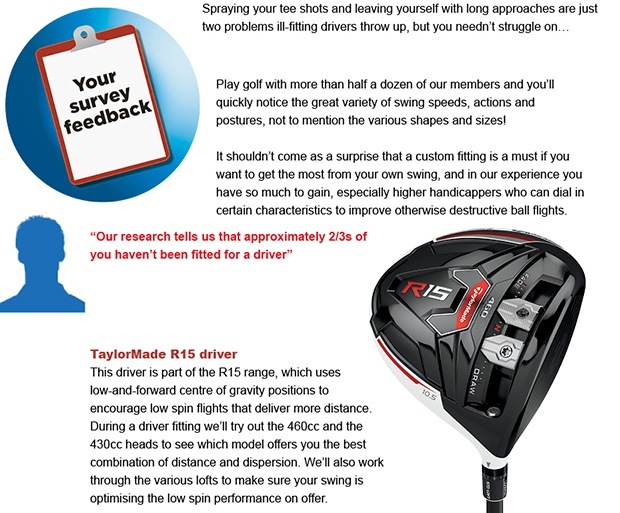 The Blue hybrid is the more forgiving model, designed for a golfer who needs a bit of help to launch the ball and is looking to maximise their distance with their second shot from the fairway. 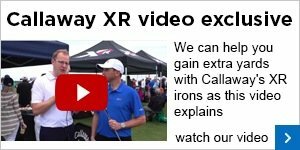 This club is designed to replace a long iron and if you are still struggling along using a 3 or 4 iron instead of a hybrid you don't know what you're missing out on! The Red hybrids are aimed at the better player with a more compact head shape and offering a slightly lower launch angle and a higher degree of workability. Both clubs were a joy to hit and extremely long! If you get a chance call in to the shop to have a look at them. At £119 they offer outstanding value for money! You must book a slot in advance for the fitting day demand will be high and it will get booked up, we have the following times left available: 10.40am, 11.20am, 12pm and 1.20pm if you would like to reserve one of these slots please contact me here. The new seniors captain, Roger Wilkinson, drove in on Tuesday morning. It was a little delayed as Roger has been a bit under the weather recently, but he stepped up to the first tee and, despite playing into a strong wind, hit a good drive down the middle. Here he is in 'mid swing'! The seniors played an 18 hole Stableford afterwards and the winner was Andy Margeson with a fine score of 42 points. The highlight of his round was a birdie three on the fourth hole, Andy sees his handicap drop to 14 as a result of this good round. In second place was Alan Tayler who has hit a bit of form recently and he scored 40 points including a brilliant birdie on the difficult par 5 twelfth hole, in the third place was Alan Phillips on 38 points. The seniors also played an away match against Sandbach last week, with the result an honourable draw. Captain Roger commented on the good condition of the golf course and the warm and gracious welcome our members received from everyone at Sandbach. The return home match is coming up next week on Tuesday morning. The ladies also played their first major of the season on Sunday as they played the Ladies Barnes Trophy. 25 handicapper, Julie Daines, clearly found her best form after struggling on Saturday as she fired a brilliant nett 65 to take the Trophy. Julie's round was very consistent and she won by three shots from Keira Wharton who was in second place on nett 68. In third place was Pauline Nevin on nett 69. Last Thursday was the Ladies 18 hole Stableford, the winning round came from 28 handicapper Margaret Cherry on 41 points. Amazingly a total of four ladies all scored 41 points but Margaret had the best back nine score to take the victory. Sue Bradley was playing in her first club competition but she took to it like a duck to water to finish in second place and third went to Joyce Graham. Sarah Dee was unlucky to also score 41 points but only finish in fourth place. Well done to lady captain Annie Rowland who scored a brilliant birdie two on hole sixteen. The next ladies competition is a nine hole Stableford on Thursday 7th May at 9.32am.